It is often times asserted that their is very little evidence in the Early Church for the Primacy of the Pope and his universal jurisdiction. This article which demonstrates the role of the Pope in settling disputes in the early church uses letters, remarks from synods and references various ecumenical councils to illustrate the primacy of the Pope was in fact knowledge in the early church. This article was corrected for spelling errors that occurred from the extracted text, no major alterations were made to its content. The proofs of the Catholic doctrine, and of each article that goes to make up the whole creed, are of astonishing variety. Some of these proofs appeal to some classes of thinkers, others to others. But there is one proof which overshadows all others, and forms the ground of certainty with respect to all, at those moments when the mind loses her hold of what she before saw clearly, and when she is disposed to admit the first insidious approaches of doubt. The proof that we speak of is in itself a doctrine; but it is a doctrine which is quite independent of the others : all the others might supposedly be left, though this were taken away; this one might, on another hypothesis, remain, and all the rest be changed. The other doctrines of the faith are intimately bound together in essential material and form; the doctrine of the authority of the Church stands apart from the rest, unconnected with them in nature,—their witness, not their maker. Mgr. Gerbet has called the doctrine of the Eucharist le dogme generateur. Theologians have developed the few simple phrases in which the doctrines of the Trinity and Incarnation were revealed into whole systems of theology. All these doctrines might be true, might even be certified to men, by other means than the Church. On the other hand, we cannot call the Church a dogme generateur. Given only the proposition of the authority of the Church, and no one could deduce from this what was the precise message she had to deliver. Yet without the Church, the creed would be but a philosophy, without any demonstrative evidence of its reality. Without the creed, the Church would be a laborious legislator, an elaborate educational establishment, with nothing to teach or to legislate about. It cannot be denied that the Catholic dogma, apart from the testimony of the Church, contains many elements which recommend it to belief, especially to philosophical minds. Its unity, its marvellous consistency, its disorganisation under the manipulations of the would-be improve, prove it not to be the mere production of human thought. ” What thought can think, another thought can mend,” says one of our old martyrs. But this proof is too subtle for the ordinary intelligence, and too evanescent even for the most extraordinary. Beauty, perfection, and completeness may be characters of a mere subjective thought; they cannot form any safe criterion of the external and objective reality of the thing. Hence, however a man’s mind has been drawn to the Church,—whether by the philosophy of her dogma, the beauty of her morals, or the dignity and poetry of her ritual,—some time or other he is sure to want a more technical, objective, legal proof; his philosophy or his poetry will be a staff that bends in his hands; he will require a stronger, a more common-sense, a rougher witness than his own thoughts and feelings. Hence the doctrine of the Church is one which should be carefully studied by every person likely to have to do with controversy. And in a Protestant land who is not each moment liable to be called on for some such act of charity? It may not be the first doctrine which engages the attention of converts, neither need it be the most attractive in drawing them; but sooner or later all will have to retire into this stronghold. There will be moments when all other grounds are felt to be deficient in certainty; and if the authority of the Church is not well worked into our minds, no one can tell what mischief may be the result. And in proportion to the immense importance of this doctrine, are the proofs that have been collected around it. Together they form a rope, each strand of which is strong enough to hang our faith to. Take the probability, that if there is a revelation, there will be some provision that the revelation should be kept from dying out; the argument from analogy, that all pretended revelations were attempted to be preserved by hierarchies somewhat similar to that of the Church; the fact that, admitting the Jewish writers to have written what they did at the time supposed (a mere historical question), the Christian Church is clearly predicted. Admitting the New Testament to be a true record of the words and deeds of our Lord, the Church was clearly founded by Him; admitting the authenticity of the Apostolic writings, some such institution is clearly mentioned and confirmed. It appears in history ; in historical records we may trace the history of its action, the history of opinion concerning it, and the histories of its sufferings and conflicts with other religions. Each of these lines, and many others beside, would furnish matter for an argument, in itself convincing, for the authority of the Church. No doctrine has such a concurrent weight of testimony; for no conclusion could we construct such various arguments, all taking independent lines, yet all converging to the same point. Most of these arguments, from the nature of the case, must be historical. Thus, for instance, one argument might be drawn exclusively from the representations which heathen authors give of the Christian hierarchy. Another might be drawn from the institutions which the different heresies attacked. A third from the history of the Christian patriarchates. This last line of argument is so fruitful, and at the same time so capable of being briefly set forth, that we are tempted to lay it before our readers. If Christianity is anything objective at all; if it is anything apart from the mere opinions of individuals; if there is any external organisation, any institution of priests or preachers, to continue it; if our Lord did not intend simply to abolish all order, all religious society, all the hierarchical spirit that had been so carefully cultivated in Judaism, and to sow in its place a mere impalpable opinion in the earth, depending not on social teaching, but on independent individual dreaming, —then we must surely look for the organisation which He intended to establish in that which, in fact, we find established in the first glimmerings of ecclesiastical history. And what does this first glimmering light reveal to us? We find the Church teaching the same doctrine throughout the world, governed in each city by a Bishop; the Bishops we find acknowledging a hierarchical gradation among themselves,looking up to the Bishop of the greatest town in the province; and all of these together more or less subject to one or other of the three patriarchates of Antioch, Alexandria, and Rome, —for in those early days Constantinople and Jerusalem had put in no claim to a place in this rank. Let us look, then, at these three patriarchates, and inquire whether the ecclesiastical authority was equally divided among them or given to one, and whether this one had the power from the first, or only a primacy of honour; whether, in fact, Rome in the first ages had, as a late Russian writer affirms, only “the right of presiding over the four other patriarchal chairs, granted by the councils to the See of Rome, and by degrees transformed into the authority of the Pope over the whole Church,—an illegal sovereignty never recognised by the Orientals,” and now combated by the occidental Protestants as well; or whether, in order to constitute and perpetuate the unity which Christ wished to be the one great note of His Church, it was necessary that Bishops and Patriarchs should all recur to Rome as the fountain of their authority and their fixed centre; whether the words of St. Leo to Anastasius Bishop of Thessalonica are not true, that ” the connection of the whole body constitutes a unity of healthiness, a unity of beauty, requiring a unity of mind, but depending chiefly on the concord of the priesthood. All priests have a common dignity, but not a general equality of rank; since, even among the Apostles, there was a similarity of honour, but a distinction of power; and though all had an equal election, yet to one there was given preeminence over the rest. From this exemplar the distinction of episcopal rank has taken its rise. And special care has been taken that all should not claim for themselves all power, but that in each province one should be esteemed first among his brethren, and that some whose sees were in the greater cities should have a wider jurisdiction, and that through these the care of the Universal Church should converge to the one see of Peter, so that nothing should ever be separated from its head. Though the see of Antioch was founded by St. Peter in person, that of Alexandria only by his deputy Mark, whom he sent from Rome to Egypt, yet Alexandria had the higher rank. Bellarmine says, because St. Mark as Evangelist took precedence of Evodius, St. Peter’s successor at Antioch ; Baronius, because Alexandria was the more important city. But whatever was the reason, the order of the sees was well known, and always rigidly preserved. Here it is plainly asserted that Constantinople was subject to Heraclea as its metropolis. It must also be remarked, that this council, consisting entirely of Oriental Bishops, was not cecumenic of itself, but is only reckoned among the general councils so far forth as it was approved by the Apostolic See. Now how far this was done St. Gregory the Great tells us. “The Roman church to this day has not seen nor received these canons, or the acts of this synod. She, however, receives all the definitions made by this synod against Macedonius.” St. Leo had previously written to Anatolius of Constantinople: ” Your request is in no way strengthened by the subscription of certain Bishops, made, as you assert, sixty years since, and never made known to the Apostolic See by your predecessors; which subscription, invalid at first, and long ago fallen through, it is now too late to prop up by your useless endeavours, and by coaxing your brethren into an apparent consent, which modesty, wearied by importunity, might grant to its own injury.” This invalid canon had been fortified by a new one, which a part of the Fathers of the Council of Chalcedon, in their fifteenth session, during the absence of the Papal legates, had made (can. 28), wherein they decreed that the Prelate of New Rome, on account of the preeminence of the city, should possess the primacy after the Bishop of Old Rome, and should have patriarchal authority over all the provinces of Asia, Pontus, and Thrace. In the following session the Roman legates protested strongly against the usurpation; more strongly still St. Leo in his letters to the Emperor Marcian, St. Pulcheria, the Empress, and Anatolius. The effect of all this was that Anatolius retracted, and the fraudulent canon fell completely to the ground. Nor at the end of the ninth century did Nicholas I. retreat from the position of his predecessors; he thus replied to a doubt of the Bulgarians: “You desire to know how many patriarchates there are. They are truly to be held to be Patriarchs who hold the Apostolic Sees by succession of Bishops, namely, those of Rome, Alexandria, and Antioch.” Then of the see of Constantinople he added : “Its Bishop is called Patriarch rather by the favor of princes than for any legitimate reason.” In the meantime, however, the Popes had courteously given the title of Patriarchs to the Bishops of Constantinople, so far as the honor was concerned. But the patriarchal rights which they claimed were never recognized as lawful before the thirteenth century, when Innocent III., in the Council of Lateran, put the Church of Constantinople before those of Alexandria and Antioch, which had long lost their dignity by schism. We have given the merest outline of this history, but quite enough to show the supreme authority of the Roman See ; an authority so great, that by itself it adds or withholds the character of oecumenicity to or from the decrees of councils, as even the Greeks confessed in their retractation of the twenty-eighth canon of Chalcedon. But, indeed, in the very canon itself they had confessed the primacy of Rome; for they argued from the political preeminence of the city, Now certainly in their opinion, as then in fact, New Rome was superior, or at least equal to, Old. Therefore by strict reasoning they ought to have made their pretended patriarchate at least equal, if not superior, to that of Rome; and yet they expressly made it inferior; so penetrated were they with the persuasion that the See of Rome had a divine not a human right to the primacy of the Church, that they preferred to sin against the laws of logic rather than against the known truth. As to the patriarchate of Jerusalem, Juvenal the Bishop endeavored in the Council of Ephesus, to transform the prerogative of honor allowed it by the Nicene Fathers to a prerogative of jurisdiction, and to claim authority over some portions of the patriarchate of Antioch. But his hopes were disappointed by the resistance of St. Cyril of Alexandria and the Pope. Afterwards, in the Council of Chalcedon, the same Juvenal, with the consent of the judges of the council, made an agreement with Maximus of Antioch for a division of the patriarchal authority; but St. Leo the Great rescinded the compact by the same authority whereby he had made void the canon about the patriarchate of Constantinople. But the Bishops of Jerusalem usurped authority over Palestine with the help of the secular arm, and kept this doubtful jurisdiction till the fourth Lateran council. Let us now pass to the rights of the patriarchates. They are thus defined in the seventeenth canon of the eighth general council: ” 1. The Patriarchs confirmed all the metropolitans subject to them in their episcopal dignity, either by consecrating them, or by sending them the pallium;” to which we may add, that the distant Bishops were consecrated by their metropolitans with the Patriarch’s consent, the neighboring Bishops by himself. ” 2. They had power to convoke a synod, when necessary.” “3. To take cognizance of the more important causes, especially those of the metropolitans ” But before we draw from this definition of their rights an argument in favor of the power of the Pope over the Patriarchs, we must shortly sketch the limits of their respective territories. In the first ages of the Church the Roman Empire was divided into several “dioceses,” each consisting of several provinces, each province of several cities with their territories, the chief of which was called the Metropolis. The administration of the dioceses belonged to the Praefectus Praetorio, of whom there was at first but one for the whole empire. Corn Modus Caesar doubled the number, but did not divide their authority, giving them common power over the whole. Constantine, however, divided this single office into four, and assigned to each prefect a certain number of dioceses. This distribution remained till Arcadius and Honorius divided the Roman empire between them; for then Illyria was divided into eastern and western. And so, according to the statistics of the empire under Arcadius and Honorius, the Praefectus Praetorio of the East administered five dioceses, the East, Egypt, Asia, Pontus, and Thrace ; the Praefectus Praetorio of Illyria had two dioceses, Macedonia and Dacia; the Praefectus Praetorio of Italy three dioceses, Italy, Western Illyria, and Africa; the Praefectus Praetorio of the Gauls had the Gauls, Spain, and Britain. The ecclesiastical division was nearly the same, since the Apostles and their successors distributed the territories and the rank of Bishops as nearly as possible according to the civil divisions of the empire; and the Church always made a great difficulty in changing this primitive arrangement, whatever changes the political state of the provinces might afterwards undergo. The limits of the patriarchates are therefore easy to describe. The Roman included altogether eight dioceses; those, namely, administered by the Praefecti Praetorio of Italy, Gaul, and Illyria. For although Macedonia and Dacia passed over to the Eastern Empire on the division, the Popes never allowed these dioceses to be severed from their patriarchate, and the Emperor Honorius obtained from Theodosius the younger that the Papal authority should remain in Illyria as it was before the division. From that time the Popes deputed the Bishops of Thessalonica in Macedonia to exercise patriarchal authority in their place over Eastern Illyria, as may be seen in the letters of St. Damasus, Siricius, Innocent I., Boniface I., Celestine, Xystus, Leo the Great, and other Popes, which Boniface II. ordered to be read in the Roman synod to defend his rights over Illyria against the Bishops of Constantinople; they show the truth of what Theodosius Bishop of Echina in Thessaly declared in that Synod, “that the Popes of Rome, although the Apostolic See justly claimed primacy over all the churches in the world, and though all must appeal to her alone in ecclesiastical causes, had yet proved a special right to the government of the churches of Illyria.” This is but a small part of what might be said about the Vicariate-Apostolic of Thessalonica. The other portions of the Roman patriarchate need not be enumerated, as there never was any controversy about them. We will only add an apposite remark of Peter de Marca, that the Popes, though they always exercised patriarchal authority over the whole West, never used the name Patriarch, but founded their claim on the title of Apostolic See. This is very remarkable in St. Gregory the Great and Innocent III., who assert expressly that there are four patriarchates, and enumerate Constantinople, Alexandria, Antioch, and Jerusalem, to the exclusion of Rome, showing that its dignity is not merely patriarchal, but something higher and larger. Again, the territories of the other patriarchates were much smaller than that of Rome. The Alexandrian ruled the single diocese of Egypt, consisting first of four, then of six, and at last of eight provinces, enumerated by St. Epiphanius (Hfsres. 68). The Patriarch of Antioch also ruled but one diocese, that called the East in a limited sense, consisting of fifteen provinces. But the dioceses of Asia, Pontus, and Thrace, which the Bishops of Constantinople afterwards usurped, belonged originally to no patriarchate, but constituted three separate exarchies. The ten provinces of the diocese of Asia, alluded to by St. Jerome when he says that St. John the Evangelist ” founded and ruled the churches of all Asia,” were under the exarchate of the Bishop of Ephesus, the successor of St. Timothy, whom St. Paul made Bishop of that place. 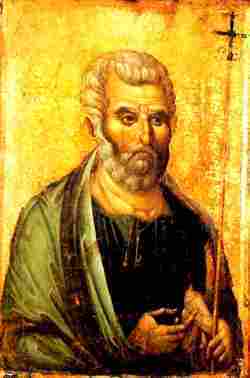 The Bishop of Caesarea in Cappadocia was exarch of the diocese of Pontus, with its ten provinces. Heraclea was the head of the six provinces of the diocese of Thrace. The exarchs exercised exactly the same power over their dioceses as the Bishops of Alexandria and Antioch over their patriarchates. Thus in the exarchate of Pontus, in the third century, St. Gregory the Illuminator came from Armenia to Cappadocia with sixteen legates of the king Tiridates, to be consecrated Bishop by Leontius exarch of Caesarea; and then, as St. Nico the Armenian testifies, he forbade under an anathema the primate of the Armenians to be ordained by any other than ” the Bishop of Caesarea in Cappadocia for the time being.” St. Basil used his right by deposing the intruding Bishop of Nicopolis, the metropolitan see of Armenia, and by ordering the clergy to obey Euphronius, who was legitimately placed there by him. He wrote, moreover, to the same clergy, ” Wait for our arrival ; for, please God, we intend to come to you, and suggest to your piety face to face that of which we could not admonish you by letter.” There is also an epistle of Basil directed, not to one province only, but commanding all the Bishops of the exarchate of Pontus to meet at Caesarea, according, as he says, to the ancient custom. But these three things—the institution of metropolitans, the judgment of their causes, and the summoning of the Bishops of more than one province to a synod— constituted, as we showed, the patriarchal rights. The same might be shown of the exarchates of Ephesus and Heraclea. Hence it is clear that the rights of the Patriarchs, great and venerable as they are, were yet denned within certain limits, and fixed to certain territories, beyond which all that they attempted to do by their authority was reckoned void and empty ; and that not only if they invaded another patriarchate, but even an exarchate, like Thrace. Hence we derive a very strong argument for the universal jurisdiction of the Popes. For if they had been only equal to the other Patriarchs and Exarchs, they would have had no power in the Eastern Church either to create Bishops, or to convoke synods, or to adjudicate greater causes. For all these things would have belonged wholly and solely to the prelates of each patriarchate or exarchate. But every one of these things was done by the Popes with a high hand. St. Clement, as Irenseus tells us, “when a great discord had arisen among the brethren at Corinth, wrote most powerful letters to the Corinthians, bringing them together to peace, and renewing their faith, and declaring the tradition which they had presently received from the Apostles.” St. Victor, in the second century, ordered a synod to be convoked in Palestine about the question of Easter, and threatened excommunication to those who impaired its authority. St. Julius, “in accordance with the prerogative of the Roman Church,” as Socrates says, sent back to the East St. Athanasius of Alexandria, Paul of Constantinople, and other Bishops of Oriental sees, with very free-spoken letters restoring each man his see, and at the same time condemning those who had irregularly deposed the aforesaid Bishops. So they departing from Rome, and trusting to the letters of the Bishop Julius, entered every one into his own see.” These words, says Schelstratius, were written by Socrates and Sozomen, contemporary Greek authors at Constantinople twelve hundred years ago; and in them the supreme authority of the Apostolic See in determining the great causes of Bishops is shown too manifestly and clearly for any one to raise a question about it. The same may be said of the cause of St. Chrysostom, who, while he protested against the Patriarch of Alexandria having any right over the diocese of Thrace, by his appeal acknowledged the right of the Pope over the Universal Church; and who, though condemned by a synod, was absolved by the Apostolic See without a synod, as St. Gelasius expressly asserts in his epistle to the Bishops of Dardania, where he brings forward several instances of the same kind. St. Basil may also be cited, who wrote as follows to Athanasius the Great: ” It appears to me reasonable that the Bishop of Rome should be written to, to consider what is being done here, to give his advice and, . . . making use of his authority in this cause, to choose proper persons to correct those who are awry and crooked amongst us.” These words, directed from the Exarch of Pontus to the Patriarch of Alexandria, manifestly show that the Bishop of Rome is greater in authority than either of them. Nor is the act of St. Martin I. less remarkable, who in the seventh century made John Bishop of Philadelphia his vicar in the East, with this commission : ” that so prospering in the Lord, you may correct what is wanting ; and may appoint in every city that is subject either to the see of Jerusalem or to that of Alexandria Bishops, priests, and deacons, according to the plenary commands which we give you by our apostolical authority, given to us by the Lord through the most holy Peter, the prince of the apostles.” Such were the acts which the Popes performed in the East as well as the West; but if any Patriarch had dared to do one of them beyond the limits of his patriarchate, he would at once have been reckoned guilty of breaking the laws of the Church. There is another point which eminently distinguishes the Popes from the other Patriarchs: for they could only convoke the Bishops of their own patriarchates to a synod ; but the Popes could call a general council. This is a subject too long to be treated here ; we will only notice that St. Cyril of Alexandria considered himself so inferior to the Pope in this respect, that though he was Bishop of the second see, he thought himself highly honoured in being made legate of St. Celestine in the Council of Ephesus, and he over and over again professed openly that whatever he had done in the cause of Nestorius had been all done by command of Celestine: wherein he was very different from Theophilus, who had dared to condemn Chrysostom by a usurped authority. There are some other things which show not only the inferiority, but the dependence of the patriarchal sees on that of Rome. Among these is the fact, that no one could rightly hold a patriarchal see without the consent of the Pope. The Patriarchs were elected by their own clergy, and were soon afterwards consecrated, to prevent the see being too long unoccupied; but they were bound to inform the Pope of their ordination by a legate with synodical letters, and to request his letters of peace and communion. On obtaining these, they were by him ipso facto canonically confirmed, as may be seen by the sentence of the Council of Chalcedon, annulling all that was done in the pseudo-council of Ephesus, ” except that about St. Maximus, the Bishop of the great city of Antioch, because St. Leo, the Archbishop of Rome, by receiving him into communion, adjudged him to be prelate of the see of Antioch.” But if the Pope did not assent to the ordination that had been given, the Patriarch was reckoned illegitimate, as Boniface I. shows in his epistle to Rufus of Thessalonica by the following example : ” When the church of Antioch had been long in trouble, and many appeals had been made from thence on that account, it is manifest that the Roman See was consulted first by Meletius, and afterwards by Flavianus. After many things done by our church to (establish) his authority, everyone knows that Flavianus received the favour of communion, which he would have ever wanted unless the decree to that effect had gone forth from hence.” The Popes even sometimes made their confirmation conditional, as St. Innocent I., who acknowledged Alexander as Patriarch of Antioch on condition of his receiving the clerics ordained by Evagrius with their orders and ranks; or else they remedied the canonical defects in the election and ordination of the Patriarchs by their plenary power, as St. Simplicius, when, for peace-sake, he confirmed the consecration of Stephen the Younger to the patriarchate of Antioch, which had been performed at Constantinople contrary to the canon of Nice, and at the same time absolved Acacius, the consecrator of St. Stephen, who had set the rights of the Church at naught, and who confessed that he deserved to be suspended. Hence we gather two conclusions : 1. The canons did not allow one Patriarch to judge another; 2. The Pope had a perfect right to judge the Patriarchs. We are obliged to omit a great number of other instances, to keep our article within reasonable bounds ; but what we have adduced is sufficient to demonstrate the universal truth of the definition of the Council of Florence: “The Holy Apostolic See and the Pontiff have the primacy over the whole world; and the Pope of Rome is the successor of St. Peter the Prince of the Apostles, and the true Vicar of Christ, the head of the whole Church, and the father and doctor of all Christians; and to him in St. Peter was committed by our Lord Jesus Christ full power of feeding, ruling, and governing the universal Church ; as is also contained in the acts of the general councils and in the sacred canons.” Such is the general conclusion which results from an examination of the special question of the relative rank of the patriarchates. The Rambler Vol X September 1858 by London :Burns and Lambert. VOL. X. New Series. SEPTEMBER 1858. PART LVII.